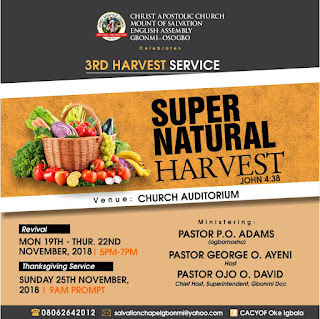 The English Assembly of Christ Apostolic Church, Mount of Salvation, Gbonmi-Osogbo, Osun state will on Sunday November 25, 2018 hold her 3rd Harvest Service. 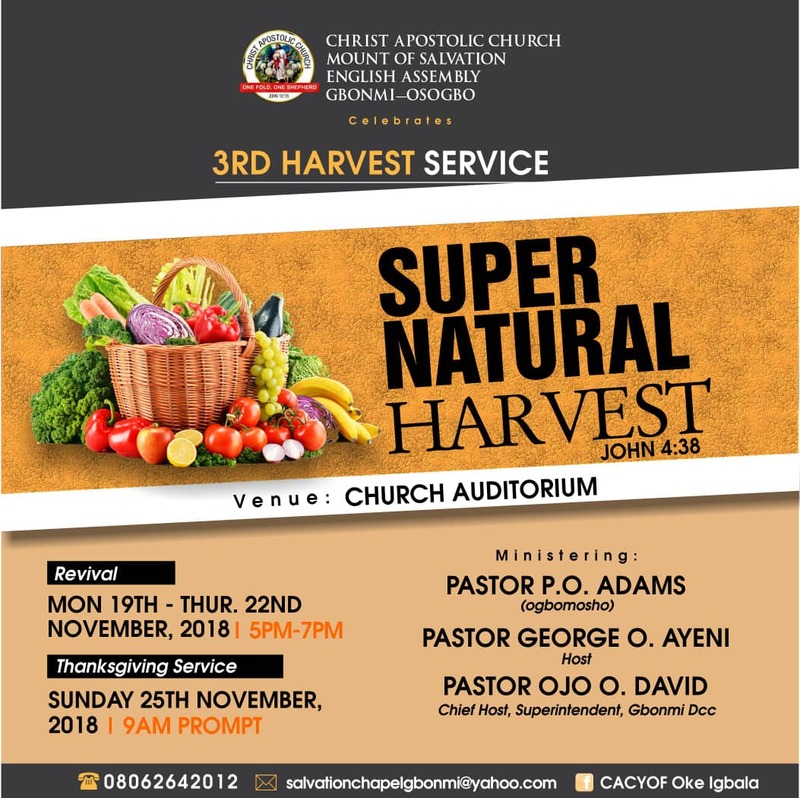 The theme of the Harvest Service is "Supernatural Harvest." As part of the activities to mark the 3rd Harvest Service, the church will hold 4days revival from Monday 19th to Thursday 22nd November, 2018. 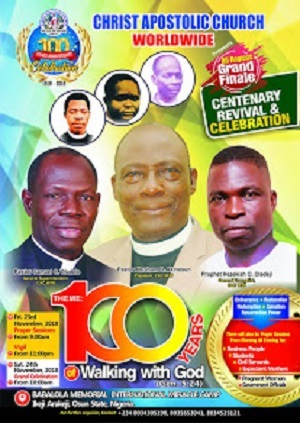 The revival will hold between 5pm to 7pm on daily basis. 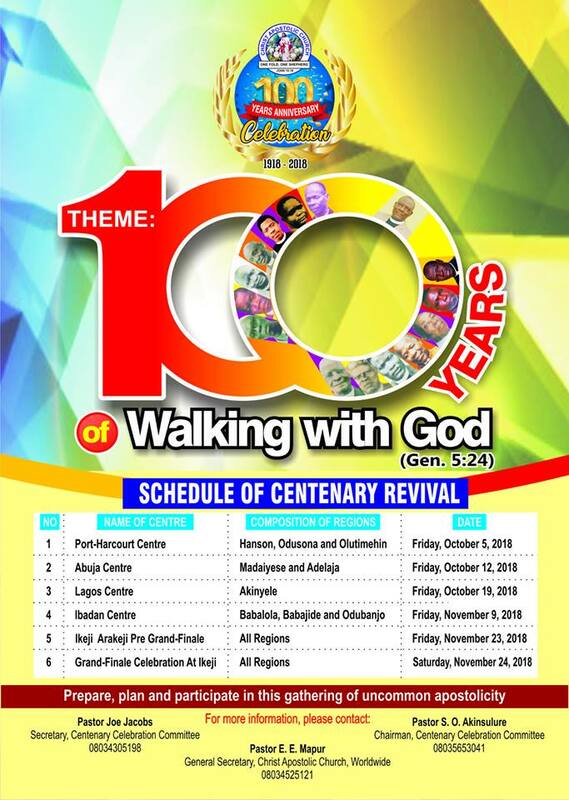 Pastor Ojo O. David is the DCC Superintendent of CAC Ghonmi DCC.